South Texas College in collaboration with McAllen ISD hosted its college immersion experience for migrant students. 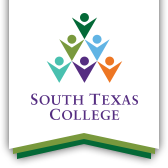 The migrant camp held at South Texas College’s Technology Campus, was part of the intuition’s ‘college for all initiative’ that strives to promote a college-going culture for young students. McAllen ISD Migrant Director, Dr. Cynthia Bebon, expressed the importance of this event for students. The McAllen ISD Migrant Camp is in its second year as it intends to show students how accessible college is. Information and strategies on how to plan for college were included in the migrant camp session to give students a better understanding of what college is all about. Program Chair for Computer and Advanced Technologies Department at STC, Meliton Hinojosa, says students who attend the migrant camp are like seeds watered through education. The migrant camp was for third through eighth-grade students and was divided into two events. The first camp was held March 1 for sixth through eighth graders, and the second camp was held March 22 for students in third through fifth grade. For more information, or for more resources for migrants, please contact Program Developer and Coordinator, Liz Hernandez at 956-872-6165.